Links to resources about the history of reusable launch and space vehicles. Also includes info on various rocket powered aircraft. Astronautix.com - Mark Wade provides lots of material on many RLV projects including those that never got past the design stage, e.g. Dynosaur, and those actually built, e.g. 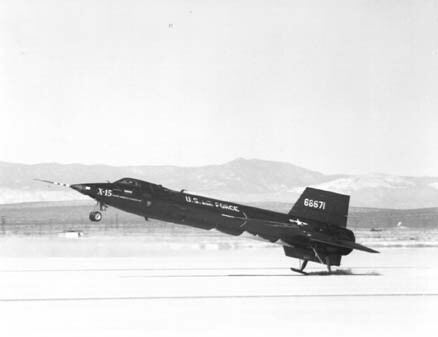 X-15. FAA website was "upgraded" in 2007 and most of the links to it were broken. You may, however, be able to track down these and other reports via their Reports & Studies section. Way Have NASA? - Jerry Pournelle testimony to Subcommittee on Space, March 16, 1995. Other Space Papers &he SSX Concept. VTOVL - Astronautix - list of various Vertical Takeoff and vertical landing vehicle designs. Astronautix: many sections on vehicle concepts, designs and hardware, e.g. See the Russia section below for links to Soviet/Russian RLV reviews. Advent Launch Services (Civilian Astronaut Corp) - planned to take reservations for space tourism flights were dropped in April 99 (62 people had put down deposits but they needed 2000 to fund the vehicle.) Continues as a vehicle development effort. Enter the Liberator - The Space Review - Oct.13.03. NASA STAS III - some images and videos of a winged reusable booster called the K2GenRLV that Kelly developed under this study. In the 1990s it began as Pioneer Rocketplane and it pursued a system that consisted of a suborbital spaceplane that would be refueled in flight and used for launching small comsats via an unmanned second stage. In early 2000s it changed into a company focused on suborbital space tourism with a vehicle called the Rocketplane XP based on a modified Learjet airframe. In 2006 the firm bought Kistler Aerospace and won a COTS contract to demonstrate ISS resupply with the K-1 vehicle. The company divided itself into two parts: Rocketplane-Kistler to develop the K-1 and Rocketplane-Global to pursue the suborbital tourism market with the XP. In 2007 the company unveiled a totally new design for the suborbital vehicle with an airframe built from scratch rather than from the Learjet. The company's COTS contract was terminated in late 2007 after the company failed to raise $500M in private capital. Rocketplane attempted to continue with a suborbital vehicle program but could not raise the money. May 2010 - Company liquidated in Chapter 7 proceedings. Rocketplane XP T - space tourist vehicle that will fly 5 passengers to 100k. Space Transport News - Search on "Rocketplane"
Space Transport News - Search on "Kistler"
K-1 Expendable Upper Stage - for GEO, lunar missions, etc. NewSpace 2010: War Stories from the Entrepreneurial Frontier - YouTube - In this panel discussion Debra Lepore, who led Kistler for several years, describes (starting around the 9 minute mark) some of the history of the firm and how in 1999 they were the first to come to an arrangement with NASA for commercial resupply to the ISS. Gencorp Aerojet Successfully Test Fires Kistler K-1 Rocket Engine, Test Is Key Milestone Toward Kistler's First Launch - Kistler Aerospace - Mar.12.98. Kistler Aerospace Corporation Restructures its Finances to Achieve the Reusable Launch Vehicles First Flight - Kistler - July.15.03. Marcus Lindroos report on Kistler presentation at IAF'99. Rotary shut down all of its projects by the end of 2000. Gary Hudson left the company earlier to work at HMX and to pursue other interests. The Mojave facility was closed after an auction of most of its contents. Rights to the various technologies, e.g. composite fuel tanks, that were developed by the company were sold to XCOR, a company founded by several former Rotary employees. Insanely Great? or Just Plain Insane? - Wired 4.05 - May.96 - this article was the first public airing of the Roton concept. Note that the vehicle described was much smaller than the vehicle built by Rotary. The larger size was deemed necessary to serve the comsat constellation market. However, Gary Hudson says it turned out to be a big mistake to go to a bigger vehicle. Made everything much harder and marginal. Space Access, LLC (WaybackMachine.org - last entry Feb.2004) - this company had a scramjet/rocket combo design for the first stage vehicle that would carry a rocket powered booster to take a payload to orbit. The firm was run by well-respected people from the hypersonics research field. They needed a multi-billion dollar investment, however, to get it to fly. Long articles in Aviation Week, March 30, 1998 and Popular Science, June 1999.
t/Space - Transformational Space - collaboration of several companies proposed a low cost orbital/lunar building block approach for ISS crew/cargo resupply. Won $6M in study contracts with NASA. However, after failing to win COTS contract, the effort was suspended. In 2010 they also put in a proposal for the commercial crew program but also failed to receive a grant. CXV - reusable capsule proposed for the earth to LEO part of the CEV project. Rides an air launched booster derived from the QuickReach vehicle built by AirLaunch LLC and developed under a DARPA Falcon project. t/Space Full Concept of Operations Video - Google Video - narrated video showing the CXV manned air launched system from takeoff through reentry and parachute landing. Truax Engineering Multimedia Archive, Thomas Duffey has collected a great number of articles and videos dealing with the various rockets designed by Truax. Bob Truax offered back in the late 1970s a detailed design for a high-altitude (80km) sub-orbital rocket that was simple and cheap enough for a private company to build. (Gary Hudson's Osiris and Phoenix were much larger vehicles and intended for orbit.) The article Be Your Own Astronaut (If Bob Truax Gets His Way) - by Paul Siegler - L5 News Vol. 3 Num. 4 April 1978 (pdf 1.1MB) describes Project Private Enterprise that sought to build the reusable Volks-Rocket for $1 million. Benson Space Company - Spinoff from SpaceDev formed to develop a suborbital vehicle for space tourism market. See SpaceDev/Dream Chaser entry above in orbital projects. The project was canceled when Jim Benson became seriously ill. He later died in October 2008. Orignally, the plan was to use the Dream Chaser /HL-20 design but in 2007 they changed to a new design. FAA Notice: Commercial Space Transportation - Waiver of License Requirement for Blue Origin's Pre-flight Preparatory Activities Conducted at a U.S. La - SpaceRef - Oct.23.06. Final Environmental Assessment for the Proposed Blue Origin West Texas Launch Site - AST/FAA - Aug.06 (pdf) - includes lots of info about the New Shepard and the launch site in West Texas. New Shepard details - Space Transport News - June.23.06 - details extracted from the enviro impact statement. The team developed a V2 derived vehicle for the X-Prize competition but have not flown it as of December 2006. They are now folded into PlanetSpace to combine the Canadian Arrow vehicle with the Silver Dart lifting body and use the system for both suborbital and orbital flights. See PlanetSpace entry. Explorer - A Russian project partnering with Myasishchev Design Bureau announced in 2006 that they would develop this air launched vehicle. It would provide pilot plus 4 passengers a ride to 100km. As if May 1, 2008, the Explorer was still listed as one of MDB's projects here and here. However, it has apparently been canceled. Farnborough: White Knight 2 to go on display - Flight International - July.25.06. Space Race 2: Flying High Beyond The Sky - UPI/SpaceDaily - Oct.27.04. Access to Space: SSX by Jim Ransom, 1991 - reprint at SpaceFuture.com - includes afterword by Jerry Pournelle. The X Planes - Code One Magazine [Lockheed Martin] - Spring 2001 - photos and specs for all the X vehicles. Navaho - X15B - Astronautix - discusses the proposal of Harrison Storms of North American to use a Navajo first stage booster to launch the X-15B, high altitude version of the X-15. 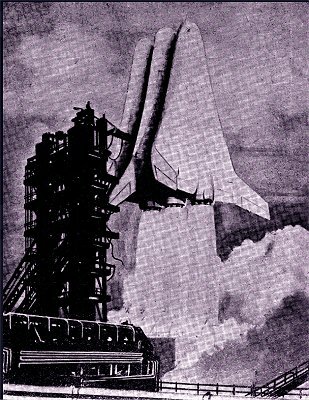 Wingless Flight: The Lifting Body Story by R. Dale Reed - this on line book includes several sections on the rocket powered aspects of the programs. Rocketdyne AR2-3 engine provide boosts for the NF-104 aerospace trainer. Used operationally, for 7 years in the 1960's and now intended for the X-37. Lenticular Vehicles - Astronautix - Mark Wade reports on studies during 1959-1964 by NASA and the US Air Force of saucer shaped vehicle designs. Nino Pollizzi, Sunday, 2-3-13 - Thespaceshow's Blog. Pollizzi talked about the DC-X reusable rocket, which he worked on. Cathy Harper and Nino Polizzi - the Space Show - July 13th, 2008 - discussed the DC-X Reunion which will later took place in Alamogordo, New Mexico from August 17-18, 2008. Commercial Space, Single Stage to Orbit SSTO by Donald F. Robertson (circa 1993) - discusses DC-X and DC-Y development. Mitchell Burnside Clapp - Hour 25 - December 2001 -a webcast of an interview with Clapp who talks a lot about the DC-X and his experiences on the project. The Futures Channel - video interview from 1992 with Delta Clipper Program Manager Bill Gaubatz. Video (8MB) (31MB version) by Chris Hanson of the second DC-X flight in September 1993, and of scenes before and after. Essay also posted at Armadillo Aerospace. Universal Space Lines - DC-X - USL was founded by Pete Conrad and several other people previously involved with the DC-X project. The page includes a flight video. DC-Y - this would have been the orbital (or nearly orbital) follow-on to the DC-X. X-33 Slide Show - Aug.24-99 briefing. X-37 - unmanned orbital test vehicle, main test bed for the OSP. NASA pulled of of the program in 2004. DARPA/AF took over the project. NASA Awards Contracts for Flight Demonstrators - NASA PR - Nov.20.02 . This vehicle was to become the main goal of NASA's space transportation development plans. It would provide for crew return from the ISS as of 2010 and carry out crew transfers to the ISS by 2012. It will initially be launched atop an EELV. RASCAL - "Responsive Access, Small Cargo, and Affordable Launch Demonstration" - DARPA project canceled due to underperformance and overruns. Michael Griffin of Orbital Sciences discusses its Space Taxi at House hearing in October 1999. Powerpoint Presentation (1.6MB) - NASA Watch. pdf document - Johnson Space Center contains the Space Act agreements between NASA and Rocketplane Kistler (page 1) and between NASA and SpaceX (page 54). It includes the terms of the contracts (e.g. intellectual property rights), summaries of the proposals, and a list of the milestones for each company and how much each will be paid as it achieves each milestone. A Tamed Tornado - Designers hope a new rocket engine technology, combined with new vehicle designs and operating models, will dramatically reduce the cost of getting bulk goods to space - SPACE TIMES/California Space Authority - March/April 2006 (pdf). In collaboration with Lockheed Martin Space Systems, Oceaneering Space Systems, ARES, Odyssey Space Research, Barrios Technology, International Space Brokers, and Hannon Armstrong. Private ventures vie to service space station: Old and new players respond to NASA’s call for orbital transport - MSNBC.com - Mar.20.06. 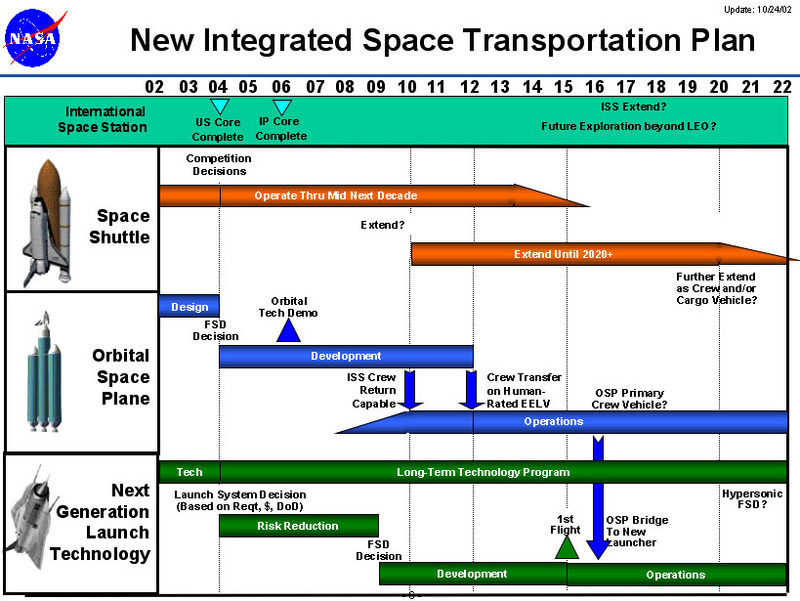 t/Space proposal to NASA for Crew Exploration Vehicle (CEV) program, 2004-2005. The Mitsubishi J8M Shusui - Japanese version of the Me 163 built during WWII. Discusses both the me 163 and the earlier He 176. He 176 V1(1937) - liquid fueled rocketplane built by Ernst Heinkel. HTP Rockets - British Rockets - Nicholas Hill's history of British rocketry. Mid-1960s British design of a fully reusable, triamese configuration of three delta-winged vehicles, two of which acted as first stage boosters and an inner vehicle that went to orbit. New Commercial Opportunities in Space - Space Future - Feb.07 -At then end of this review of spaceplanes, David Ashford speculates that if the SR.53 project had not been canceled, it would have led to fully reusable suborbital spaceplanes in the 1960s and to orbital spaceplanes not long after. Technology Development in Structures for Reusable Launch Vehicles - FESTIP design study.